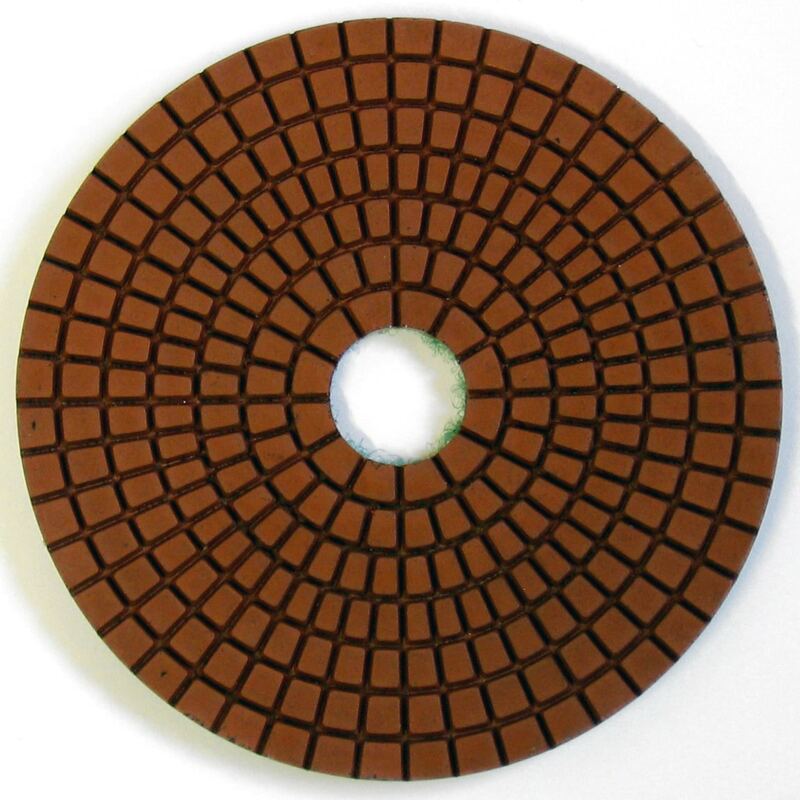 Hybrid copper resin bonded diamond grinding discs, which can be used wet or dry for light stock removal, chamfering or to substitute the first few grades of our DX1, WX1, WX2 polishing systems. 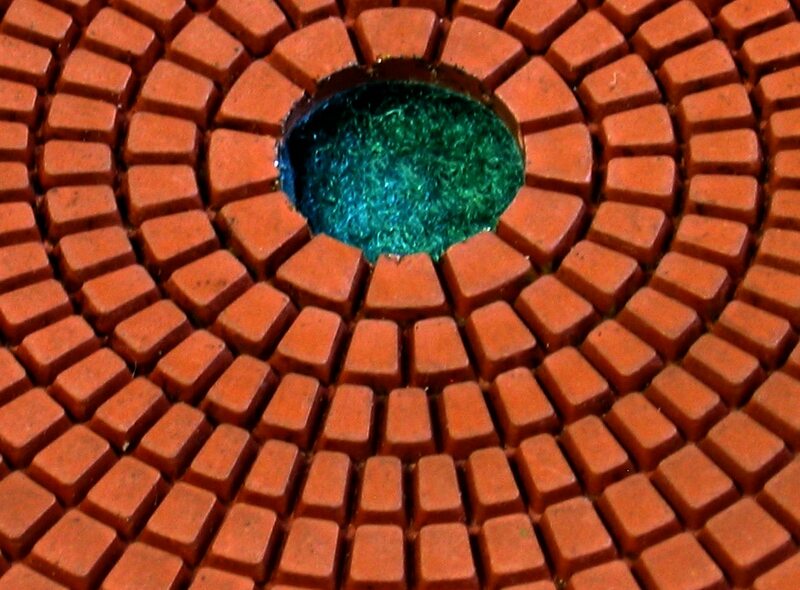 The 30 grit disc is commonly used for grinding smooth the underside of the overhang on granite kitchen tops. Suitable for all types of natural and synthetic stones. 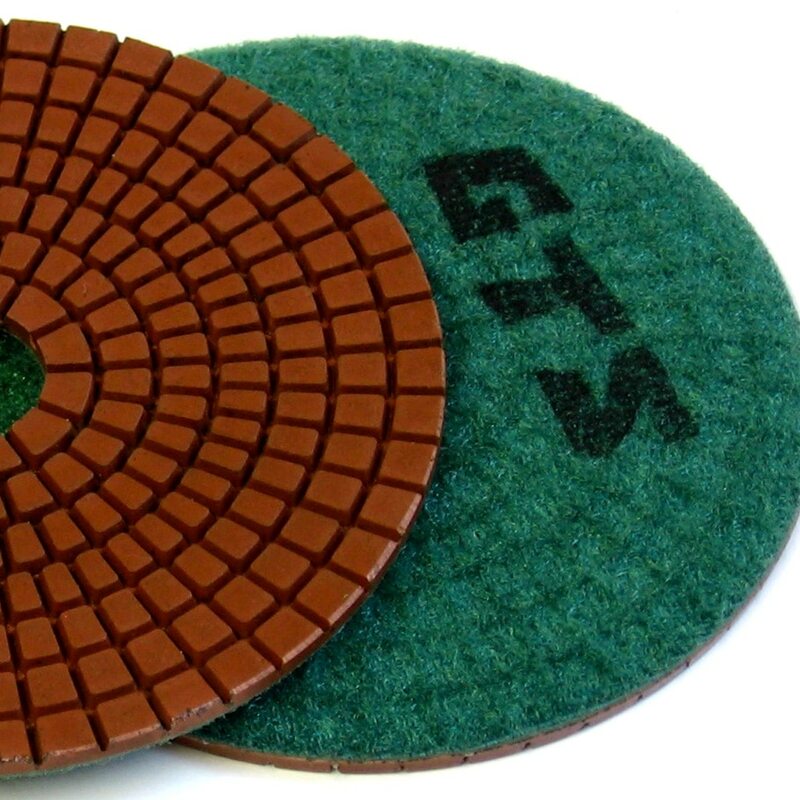 Available in 30, 50, 100, 200 and 300 grit, 100mm diameter with QRS/Velcro backing.